That's it. Summer is "officially" over here. School starts tomorrow. Realistically, it ended for us before it even began but now that school is upon us, so is game season. Roger has already had two football games and Ben has had a swim meet, so already this mom is busy and hoping that she can keep up. These meals have been a lifesaver all summer long so I just know that they're going to help get me through the fall too! Place all ingredients into a gallon size freezer bag. Press out any excess air, seal, and place in the freezer. Thaw in refrigerator overnight. 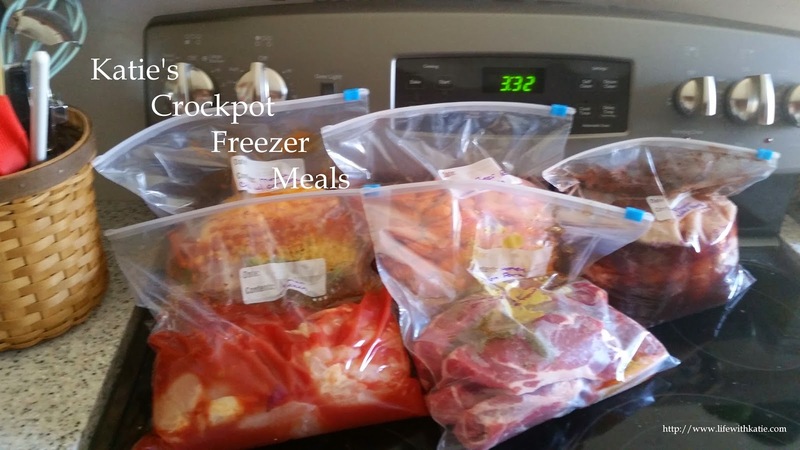 Dump into crockpot and cook on low for 8-12 hours. Remove bay leaves prior to serving.